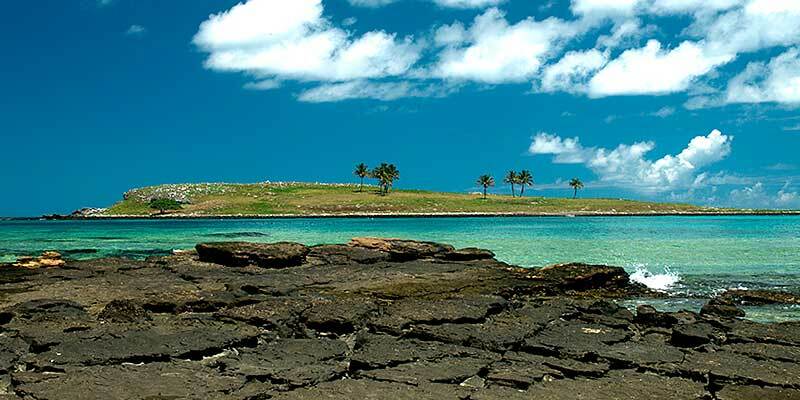 Abrolhos is an archipelago located in the Atlantic Ocean, on the southern coast of the state of Bahia. It is 36 nautical miles (approximately 72 km) from the city of Caravelas. The climate of the region is tropical, with average annual temperature between 24.5° C and 27° C. The archipelago is made up of five islands scattered over a total area of 913 km² inserted in a Federal Conservation Unit: Abrolhos National Marine Park, under the control of ICMBio and with the support of the Brazilian Navy. The name Abrolhos (“Open your eyes” in portuguese) came from an annotation of Amerigo Vespucci’s navigation chart. When, in 1503, he passed through this region, he wrote: “When you approach the earth, open your eyes.” The numerous corals existing in the region made navigation difficult and were responsible for frequent accidents and shipwrecks. The warning ended up naming the Abrolhos archipelago, which became the first Marine National Park in South America. Of the five islands that make up the Siriba, Redonda, Guarita, Sueste and Santa Bárbara archipelago, only the latter belongs to the Brazilian Navy. Due to the various accidents, in 1861 a lighthouse was installed in the Island of Santa Barbara, whose structure is of English iron, and the lenses and machinery are French. Until a few decades ago, the lighthouse was still powered by kerosene. Today, its lighting is electric and has a range of 32 nautical miles. With their installation, the sailors were more relieved, but their problems did not end. Despite being located off the navigation routes, some freighters left their marks on the archipelago. One of them was Rosalinda, who was shipwrecked in 1939 at Parcel dos Abrolhos, taking their cargo of cement and beer to the heels. Nowadays, the ship is inhabited by a multitude of marine beings and constantly visited by divers. Charles Darwin, March 29, 1832. Source: “Adventures and Discoveries of Darwin aboard the Beagle” by Jorge Zahar Editor. Fishery monitoring data show that fishing in the neighboring areas of the Park moves more than R$ 100 million per year, which represents 10% of the revenue from fishing activity in Brazil. The unit ensures the procreation of the species contributing to the maintenance of fishing in the neighboring regions, which is the means of subsistence for about 20 thousand people in the region. Tourism is another expression of the economic importance of the unit, the tourist flow generated by the Park guarantees hundreds of jobs in hotels, inns, restaurants and other activities linked to the sector. According to PRODETUR, tourism represents 20% of the GDP of the municipalities of the Whale Coast, a tourist area corresponding to the coast of the extreme south of Bahia. Abrolhos has five rock formations: Santa Bárbara, Siriba, Redonda, Sueste and Guarita. Around them are the largest, rarest, and lush coral reefs in the South Atlantic – which is why in 1983 the region became part of a Conservation Unit. It is the largest and main island of the archipelago. With 300 meters wide and approximately 1.5 kilometers long, it is 35 meters above sea level. Although it is located practically in the center of the Park, Santa Bárbara Island belongs to the Brazilian Navy. It is not within the limits of the Park nor under its jurisdiction. Because it is a military base, the landing in its territory is expressly prohibited and is only granted with authorization of the Second Naval District located in Salvador. Santa Bárbara is the only inhabited island of the archipelago and also the only one that has some infrastructure. In it there are, besides the lighthouse, some houses that serve as housing for the families of the military, ICMBIO officials and researchers. The island also has other facilities such as a heliport and a chapel in honor of Santa Bárbara, the patron saint of sailors. Being outside the jurisdiction of the Park, it is the only island in which some plants and animals were introduced, which is not allowed in the others. The main species that lives on the island today is the goat, which, besides meat, also provides milk. In addition to drinking water, practically all food consumed within the archipelago is brought from the mainland, since fishing is not permitted within the limits of the Park. The lighthouse located on one of the highest points of the island was inaugurated in 1861 in the reign of D. Pedro II. Made in France, it measures 60 meters in height and has a range of more than 20 nautical miles. The lighthouse to this day guides the navigators, indicating the location of the reefs, besides the radio system that guides the navigation, emits meteorological bulletins and inspects boats that merge in the archipelago. It is approximately 300 meters long by 100 meters wide and is 16 meters above sea level. It is the only island in the archipelago where the landing for a guided tour is allowed. During the visit it is possible to observe from the geological formation of the archipelago, to the diverse species of birds and their nests. The Siriba and Santa Bárbara islands are home to the largest white-atobá colony (Sula dactylatra) in the archipelago. Despite constant human presence on this island, ICMBio strives to reduce the impact of tourists’ visitation. With approximately 400 meters of diameter by 36 of height, in this island records are made of spawning of sea turtles of the species Caretta Caretta. Main and single main breeding site of the frigates (Fregata magnificens), Redonda Island had its upper part totally burned in a fire in 1997, when a passenger of a boat fired a signal rocket that fell on the island and caused the death of almost 200 birds. Only in the year 1999 the fauna of the island began to show signs of recovery. As for the remaining frigates, these now inhabit the Southeastern island along with the brown atobás. Although the landing on this island was originally allowed, it does not happen due to two factors: the great presence of fringed coral in the outskirts of the island that makes boat access difficult and spawning turtles. It is the second largest island of the archipelago and has this name due to its location. With approximately 500 meters of extension and 200 of width, the Sueste Island is 15 meters above the level of the sea. It is the island furthest from the others and houses the largest colony of atobás-marrom (Sula leucogaster) of the archipelago. Because it is an intangible area, the landing is prohibited on the island. This enables researchers to compare the impact on birds in areas where landing is permitted. 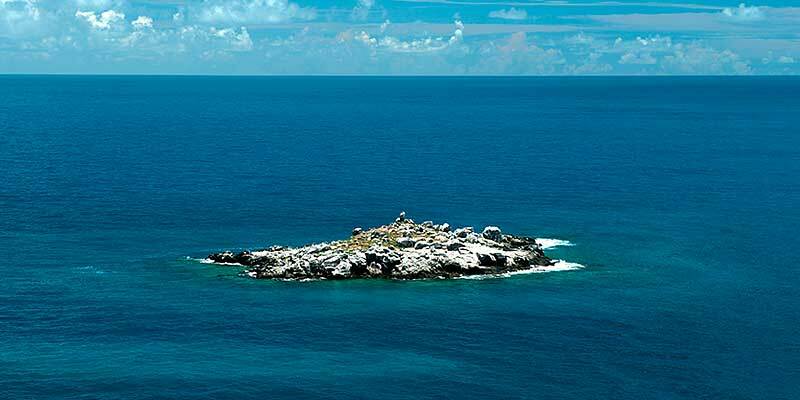 Located 250 meters north of Santa Bárbara Island, it is the smallest island in the archipelago. It is only 100 meters long and stands 13 meters above sea level. Guarita Island is also an intangible area where it is not allowed to disembark. Its surface is formed by a cluster of large blocks of volcanic rocks. The coloration of this island alternates between the black of the rocks and the white of the guano (excrement) of the Beneditos (Anous stolidus). From March to November, it becomes the main breeding place for this bird. And around Guarita Island are the archipelago’s most developed fringing reefs. The Abrolhos National Marine Park is located on the southern coast of the state of Bahia, between the geographical coordinates of 17º25′ to 18º09′ S and 38º33′ to 39º05′ W.
The PARNA – National Parks, were created with the purpose of preserving exceptional attributes of nature, reconciling the full protection of flora and fauna and natural beauty, with the use for educational, recreational or scientific purposes, in which any form of exploitation of the natural resources. The park is based on five rock formations: the islands of Santa Bárbara, Siriba, Redonda, Sueste and Guarita. 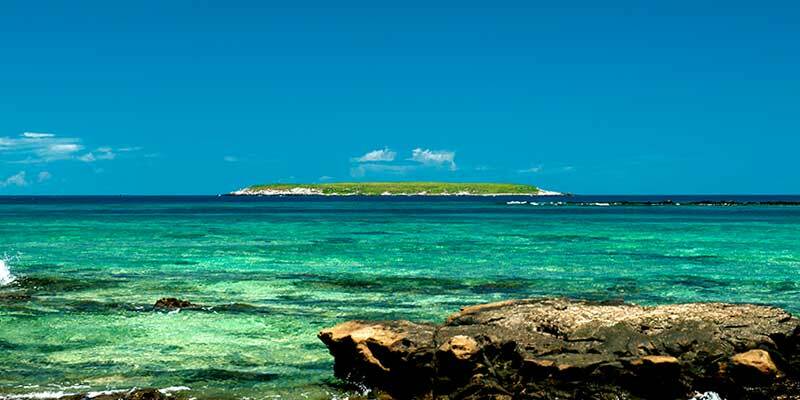 Besides the islands, the park also includes the Abrolhos Parcel and the Timbebas Reef. With an area of ​​190 km² the reef of the Timbebas is composed of a rich marine fauna of black corals and large colonies of fire coral up to three meters in diameter, it has a particular form of coral reef growth that has no similar in the world. In the period from July to November, it is possible to observe whole families of Humpback whales, which in their course pass and remain there to breed and feed the young. 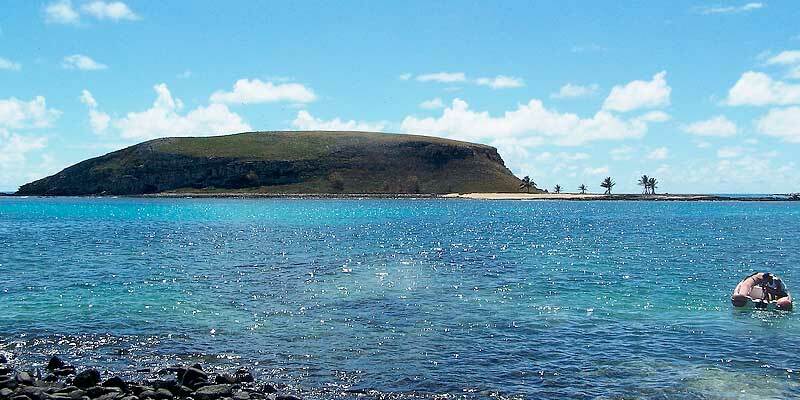 The Abrolhos Marine National Park was the first national park in Brazil, created by Decree No. 88,218, of April 6, 1983. It is administered by the Chico Mendes Institute for Biodiversity Conservation (ICMBio). In Kitongo Beach, in Caravelas / BA, is located the Visitor Center and the administrative headquarters of the Park. The visitor who wants to know the Park can make a monitored visit through panels, videos and information to the receptionists about the attractions and the desirable conduct for the visit to the Park. The site also houses a life-size replica of an adult humpback whale and the Marobá Trail where the visitor has contact with the coastal ecosystems of the restinga and mangroves. The Abrolhos National Marine Park is an Outpost of the Atlantic Forest Biosphere Reserve. It is also a RAMSAR site, a title that reveals the importance and good results of the conservation actions being undertaken in the region. Use fire and do any act, or if you omit it, in a way that could cause a fire. Feed, capture or molest wild animals. Wear loud stereos and drop fireworks. Spray or perform other acts of vandalism. Release any animal species or plant species. Conduct scientific research and visitation of groups without authorization. Prevent or hinder the natural regeneration of vegetation. To carry instruments of fishing or submarine hunting. To photograph professionally without the authorization of the administration. Diving and landing in the islands of the archipelago without authorization. Dive using gloves and knives (gloves are only allowed in shipwrecks). The nearest town to access the Abrolhos Marine National Park is Caravelas, located at the southern end of Bahia. In Caravelas is where is the Headquarters and the Visitors Center of the Park and the Agency of the Horizonte Aberto. Up to the city, there are three main means of access. By the North (coming from Salvador, Porto Seguro, Itacaré, Itabuna, and others): Follow BR-101 to Eunápolis. To get to the city of Caravelas, it is necessary to take the BR 101 to the city of Itamarajú, and then obey the road directions to Prado, continuing along the BA-489 to Alcobaça. In the clover of this city, go straight on BA-001 until the city of Caravelas. By the South (coming from Vitória / ES, MG, RJ and others): Take the BR 101, at the height of Posto da Mata, turn right at the roundabout and take the BR 418. After 80km you will be in the clover just after the Caravelas airport. Stay right and after 10 Km you will be in Caravelas. Another option for those coming from the south is to follow the city of Teixeira de Freitas, in the clover follow the BA-290. Then follow the road directions to Alcobaça, arriving at the clover of the entrance of this city, keep right by BA-001 until the city of Caravelas. Regular line of the Expresso Brasileiro company that leaves the bus station from Porto Seguro to Caravelas every day at 2:00 p.m. and from Caravelas bus station to Porto Seguro daily at 06:20. The Águia Branca and São Geraldo companies operate stretches from different regions of Brazil to Teixeira de Freitas. From there to Caravelas, the Expresso Brasileiro operates regular schedules. In Caravelas, the Conchas Airport does not have regular flights. The three nearest airports are Teixeira de Freitas, which is 90 km from Caravelas, Porto Seguro airport is 261 km from Caravelas and Vitória (ES) is about 400 km from Caravelas. The flights to Teixeira de Freitas depart from different cities, with connection in Confins / MG and vice versa once a day, from Sunday to Friday and are operated by Azul Linhas Aéreas. Flights to Porto Seguro and Vitoria, national and international depart from several Brazilian airports with more options of schedules and several airlines.